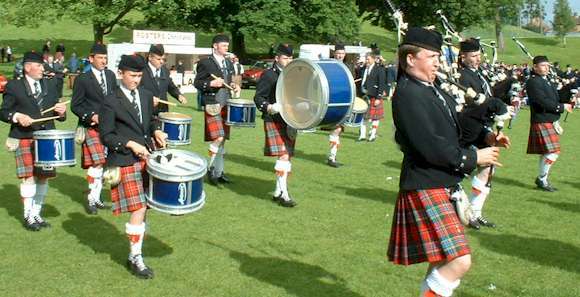 In their attempts to develop the perfect drum for pipe band competition, Andante percussion are undoubtedly at the leading edge of innovation within the industry. The Reactor snare drum has many features that drummers have hitherto only dreamt about. The first roll will tell you - this is what a drum was meant to be. The depth, sweetness and warmth of its sound communicates its handcrafted quality in ways words never could. 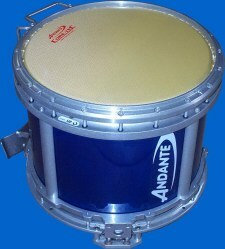 What makes this a drum the others look up to is the way Andante build it - with a rare combination of traditional craftsmanship and computer-age technology. The Reactor is elegant in its visual simplicity. The tone is pure, clear, resonant and powerful. The unique snare design provides bottom-to-top head balance, excellent response and tonal adjustability and gives depth, sparkle and musical character without the hollow, harsh and unbalanced sound of some drums. The quality of sound produced by the Reactor is a direct result of the quality of material used in its construction. The new Core-tec head is matchless in its ability to hold a set playing tension. This drum is a virtuoso of finest engineering and workmanship. Quality precision engineering - The fine tolerance of manufacture has resulted in exceptionally high standards of reliability and the durability of components is unrivalled. Warranty - 3 year structure warranty. Rigorous quality control checks at each stage of production ensure the continuity of excellence and reliability. Shell - 8mm. Birch Plywood snugly fitted for better acoustics. Lightweight - 15.5lb/7kg. Special alloys are used for strength, reducing weight for the player's comfort. Easy to tune - Top head assembly features a 20 -screw tension system, to tighten the head evenly producing a clear sound and reducing the risk of head damage. Torque Limiter - allows precise tightening of each screw to a preset tension. This means all of the tophead assemblies are at the same tension, eliminating localized stress points due to overtightening and increasing head life. Top snare mechanism - Self Levelling. Tension - Self Aligning. Height - Self Equalising. Stylish, practical, robust design - All fixing and adjusting screws are carefully designed to be flush fitting to avoid damage to the player's clothing.